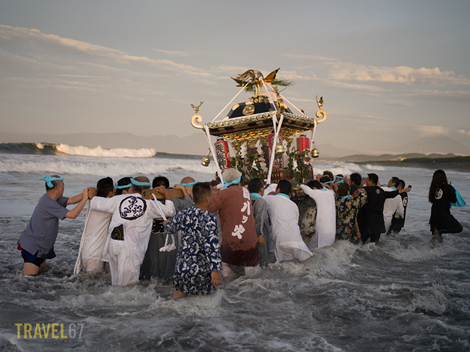 Fellow photographer Damon warned me that to get decent shots you would need to follow the mikoshi out into the sea. The waves caused the height of the water to surge from ankle deep to waist deep in a few seconds. I kept a firm grip on the camera, and lifted it above my head when the waves broke to avoid water droplets hitting the lens. The real danger though was the strong undertow. It pulled at my sneakers and khakis trying to sweep me off the feet. Several of the participants were sent tumbling and then sucked ten or twenty feet out into the surf before being grabbed. This lady found her unexpected dunking to be hysterical. The key in situations like this is to have good camera insurance. I knew the chances that I would end up swimming were slim, but there was no way I’d have taken the risk without comprehensive cover. 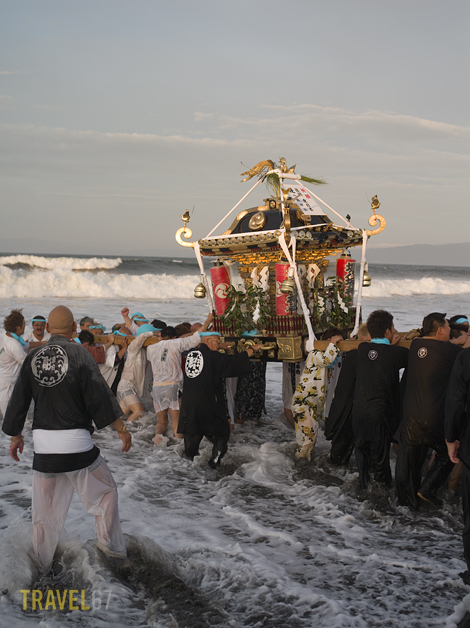 One thought provoking thing about this year’s festival was that on previous occasions when the waves had been of similar size the police had roped off the beach and stopped the mikoshi from entering the water. This year there were three security guards and two lifeguards, but no visible police presence. 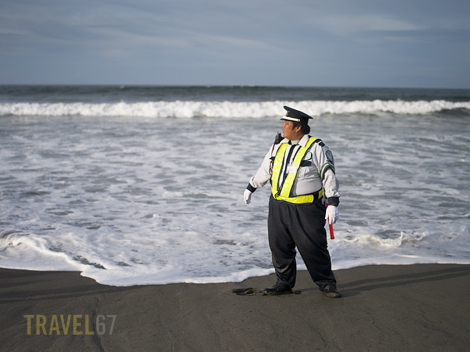 One of the locals explained that it was because most of the city’s police were up in Tohoku dealing with the aftermath of the earthquake and tsunami. 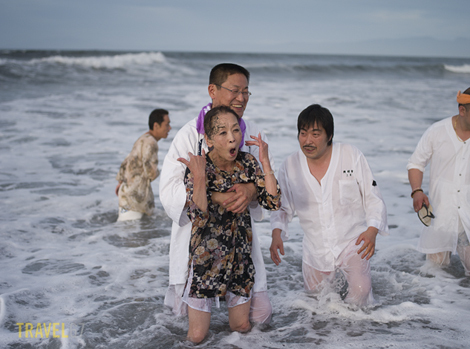 Do they leave the shrines in the sea or is it a quick dunking for them and back to dry land? The mikoshi don’t go underwater, although they do get splashed. 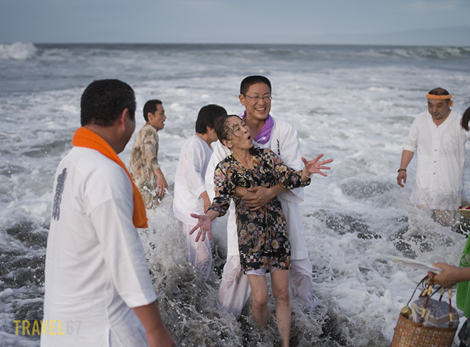 The top photo is pretty representative of how deep the people holding the mikoshi went into the sea. Love shot of the the lady, when she remembers her iPhone! I’m using some artistic license when I talk about the lady’s iPhone. Maybe she realized her makeup wasn’t waterproof.